Are you door gets easily damaged especially when installed in your bathroom or kitchen? The most common material that we used in our door is wood. However, this type of material gets weak when it is exposed in water, thus, making it inappropriate for bathroom and other high humid areas. If you are looking for an appropriate material for your bathroom door, we have a solution for that and that is using PVC material for your door. It is made of plastic called polyvinyl chloride or PVC, which has a high resistance in moisture. This type of folding door works well in areas like bathroom, kitchen, laundry area and other high moisture areas. It is available in different types like regular, deluxe, special deluxe and French type. You can also select with its different colors, depending on your needs and wants. It can also make your room more attractive and elegant. 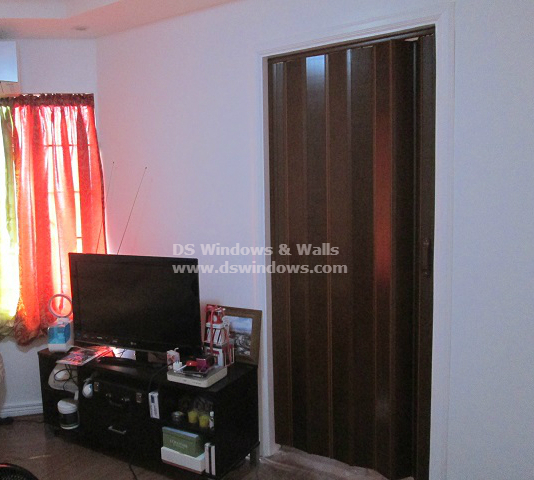 Our client from La Vista Village, Quezon City, Philippines bought deluxe type of folding door and selected mahogany color to add elegance, classical and sophisticated looks since mahogany color is a wood-stain color and they also want to match it with their wood flooring. They also selected PVC folding door because it is one of the best choice for small area that requires space-saver door. 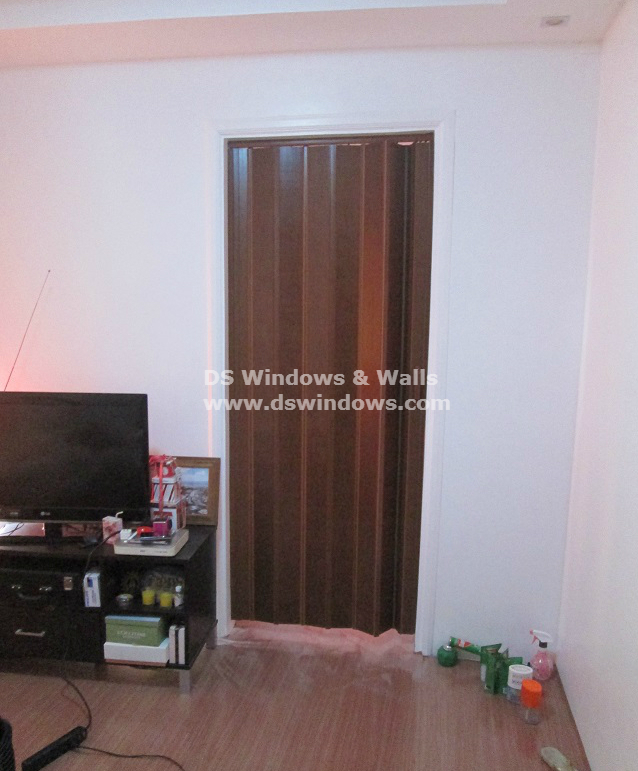 DS Windows & Walls also offers FREE site visit for ocular measurement and quotation if within Metro Manila. For inquiries, you may email us at inquiry@dswindows.com or call us at (02) 403-3262, (02) 668-9668, (02) 893-1373, and 0916-311-3909. For actual samples and further assistance, you may visit our stores at 4th level Waltermart Makati City, 3rd level Robinson Metro East Pasig City, 2nd level Pacific Mall Lucena City.